Kcee, has denied a report which claimed that he planned to feature female American rapper, Nicki Minaj. Kcee said though he had plans to feature a foreign act in one of his songs, but Minaj was never in his plans. Nicki Minaj, I decided to keep quiet, because that was never the plan. I don’t know who told them about Minaj, but I decided not to talk about it because it was not necessary. I know that the rumour would soon go away when we reveal the real person”. 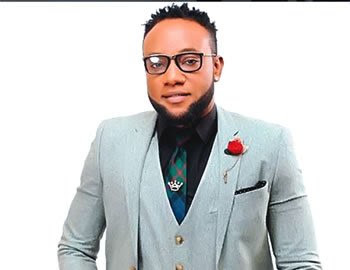 Speaking on why his much-talked about collaboration with a yet-to-be revealed international act was yet to manifest after two years, Kcee disclosed that the deal had been called off, saying “The deal is off. I really don’t want to mention names now because we are trying to resolve the issue amicably. I paid some substantial amount of dollars to this guy, but we didn’t hear anything from him after two years. I asked him to refund my money, but he promised to refund”. Asked if he would consider working with his ex partner, Presh, the Limpopo crooner her would not rule out working with him again, but was quick to add that it would not be easy due to their busy schedule. According to him, “I don’t want to say no Presh. I look forward to working with him but I don’t know when. Our relationship can never remain the same but we are still cool.